We are committed to your complete and meticulous service, answer your questions, address the difficulties that you are experiencing. "Excel Query Compare" the installation is very simple, click es_setup.exe, click "next". "Excel Query Compare" program group in the start menu you can select Uninstall complete uninstall "Excel Query Compare". In addition, access to add and remove programs in the Control Panel, select "Excel Query Compare", click on the uninstall complete uninstall "Excel Query Compare". 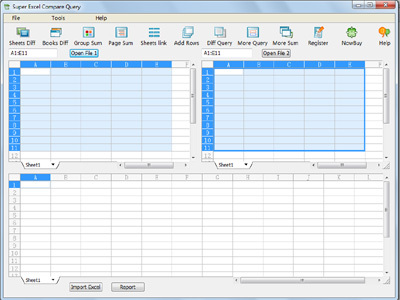 "Excel Query Compare" is a powerful tool for Excel file processing software, it provides a comprehensive and effective and simple comparison worksheets comparison of security, workbooks comparison, grouping sum, page sum, worksheets link, add blank rows, conditional query, conditional sum nine functional modules. Using "Excel Query Compare" can effectively help users to quickly select and sum of data, to reduce your work time and improve your productivity, so you don't have to in distress for cumbersome manual comparison of summaries, please give the most tiring work to "Excel Query Compare "to do it, it will be your best Assistant. "Excel Query Compare" is a stand-alone program, "Excel Query Compare" applies to the Windows 98/Me/2000/XP/2003/Vista/Win7 operating system platforms, on Vista and Win7 systems with excellent compatibility and perfect support. Main program need Excel 2003 or Excel 2003 later versions support, "Excel Query Compare" all in one interface to compare or summarize work, you do not need to switch back and forth Excel program. 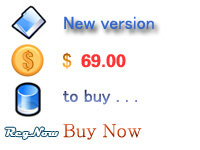 The software is safe and reliable, does not cause any harm to your computer. System of this software does not involve any of the user information and privacy, guarantee the inviolability of the user's private information. Copyright(C)2008 Three-soft. All rights reserved.